Sign up with us now and save big with a month of storage absolutely free. Finding convenient storage in Milford, Massachusetts, has never been easier than with Secure Self Storage. Our central location on East Main Street makes our 24/7 facility the perfect choice for businesses and residents of Hopedale, Mendon and Bellingham too. You’ll find everything you need to meet your personal or business storage needs: from a state-of-the-art security system and a helpful staff of storage experts to maximum safety and convenience. All of our units have drive-up access and dollies to help move your heaviest items. We also have mini-storage lockers if you only need to store a handful of items. 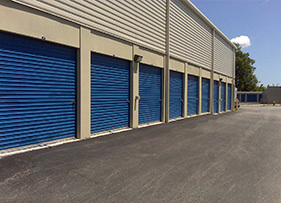 Add Secure Self Storage’s great deals to the mix, and you won’t find a better storage solution. Act now: Come to our Milford, Massachusetts, location to sign up for the most affordable and convenient storage service around. Google Rating: 4.7 out of 5 stars based on ‎19 reviews.